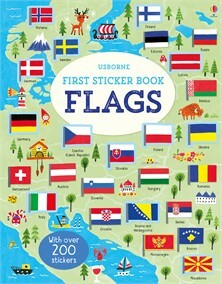 Lovely sticker book. Divided into sections Europe, north and South America,Central America and the carribean , Northern Africa and 4 more areas. The maps are illustrated nicely with things representing the countries.